Basil, Lemon is rated 4.9 out of 5 by 8. Rated 5 out of 5 by JenEs from Love this herb My husband loves using lemon basil in his dishes so I bought the plants and they are doing well. Arrived in great condition and took off when planted. Highly recommend. They look great in the garden too, we receive a lot of compliments. Rated 5 out of 5 by MrsH3 from LOVE THIS I love this plant! Everyone that has been on my patio this summer has gone nuts for this plant because of the smell alone. I seriously cant explain how great it smells in just a review. My only regret is that I only ordered one of them. Rated 5 out of 5 by Nini from Happy with my purchase I am with my purchase. 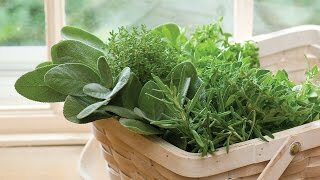 My Lemon Basil is growing very well and now, i have enough herbs to cook my home country dishes. Rated 5 out of 5 by linwanree from Mom love them I got this for my Mom and she love it. She used it in daily cooking recipes. Rated 5 out of 5 by polina from Loved. loved. loved this basil I grew lemon basil in my garden this year and was delighted with it's lemon flavor and aroma. It transformed the salad. Rated 5 out of 5 by RuggedRand from Great Intermountain Basil Started indoors in Feb and transplanted mid May. Harvested leaves monthly from June to October to prevent the plant from bolting and to collect the leaves. Great Inter-mountain variety in my enriched sandy soil giving it frequent water. Plants that received a little afternoon shade actually did the best, however, full sun plants still did well. My wife uses it in Asian dishes as well as crushing the leaves just to release the lemony fragrance. Rated 4 out of 5 by ashleysmashley from Another solid bet from Burpee; hope you love lemon Great germination, one packet has lasted me forever. I have been very pleased to grow this basil (our packet says "Mrs. Burns") year-round in my kitchen Aerogardens. With two gardens going at once, I can barely harvest fast enough to keep up with the output of pretty, light green leaves. This variety is indeed very lemony in fragrance, as well as in taste. It adds a hint of the exotic to Oriental recipes, and its citrus flavor can be a nice surprise in traditional Italian dishes. 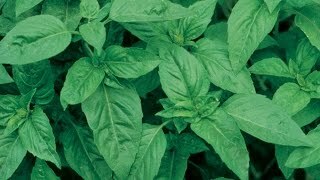 However, it is very possible to get tired of its unconventional flavor, so I highly suggest growing at least one other variety of basil alongside it. After initially going hog-wild with this stuff for the first several months, our resident fiend for all things lemon has become very emphatic that he is sick of it--no more! Rated 5 out of 5 by meesh from keep this stuff away from deer and bunnies! This is my second year growing lemon basil, from the same packet of seeds too. Last year i grew it in rather poor soil mixed with some organic miracle grow garden soil and it did well....so well that deer and rabbits ate just about all of it to the ground! I managed to save a few leaves and made a very herby and delicious tea from them. This year i'm putting my lemon basil in a planter, far away from nature's little theives! This basil is excellent for those who love to cook exotic asian dishes.